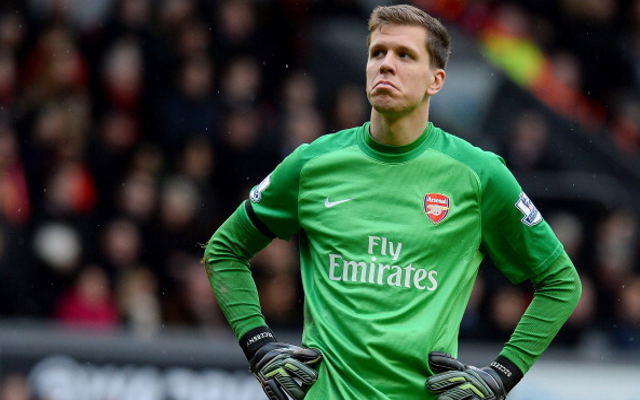 Polish stopper wants to stay at the Emirates for good. Arsenal goalkeeper Wojciech Szczesny has insisted that he wants to finish his career with the club by claiming that he never wants to leave, according to Sky Sports. The Polish international has seen a dramatic upturn in his fortunes this season by becoming the club’s undisputed number one, and even put pen-to-paper on a new extension back in November. The Gunners have been linked with moves for the likes of Real Madrid’s Iker Casillas and Barcelona’s departing stopper Victor Valdes this summer, but Szczesny claims he would be happy to fight anybody for a starting spot at Arsenal. “If they give me a contract to the end of my career, I’d sign it without any hesitation,” Szczesny told Polish newspaper Przeglad Sportowy. “I feel attached to the club and the coach who has given me a chance. “There are not many who would do that but I must have been good. I see the future here. “I’ll play at Arsenal as long as am wanted here. I am not afraid to fight for number one with anyone: Fabianski or Casillas. Watch the top 10 best Arsenal goals of all time. Check out the 10 worst Arsenal flops of the Premier League era.